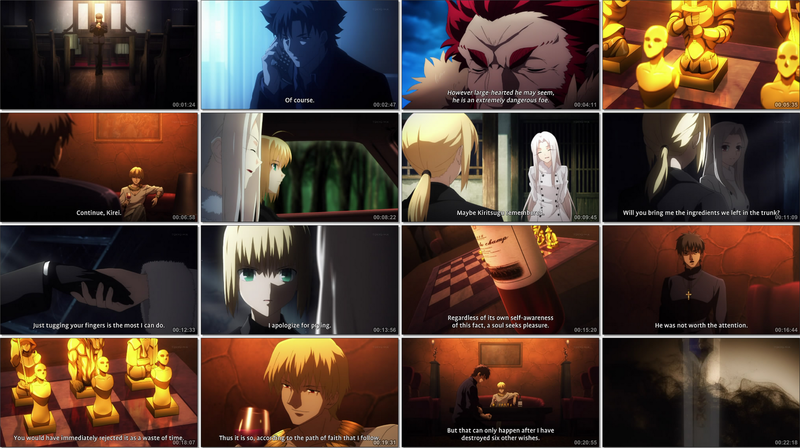 Fate/Zero 12 - Slowdown, I think you are going too fast! I can't believe they succeeded in making an episode more boring then the loli Rin episode.The whole episode boiled down to two scenes where one scene had two characters that didn't even move. Is this the product poor budgeting? They used up too much budget in the earlier episodes and now they need to save some money? 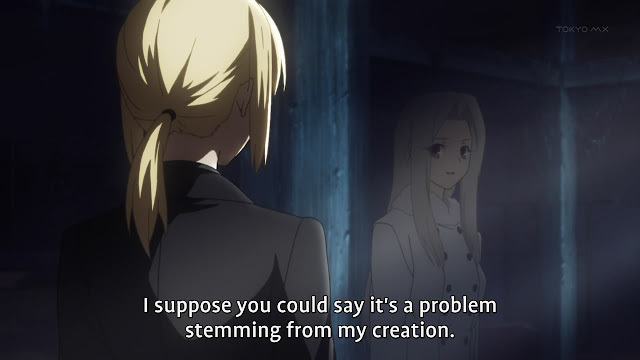 I realized after they hit the storehouse that it is actually the same house as you see in Fate/Stay Night. So I guess this new base will last longer. Nothing else really happens other then learning Irisviel is having a tough time and pretty much useless. I guess the Avalon didn't heal her fully. 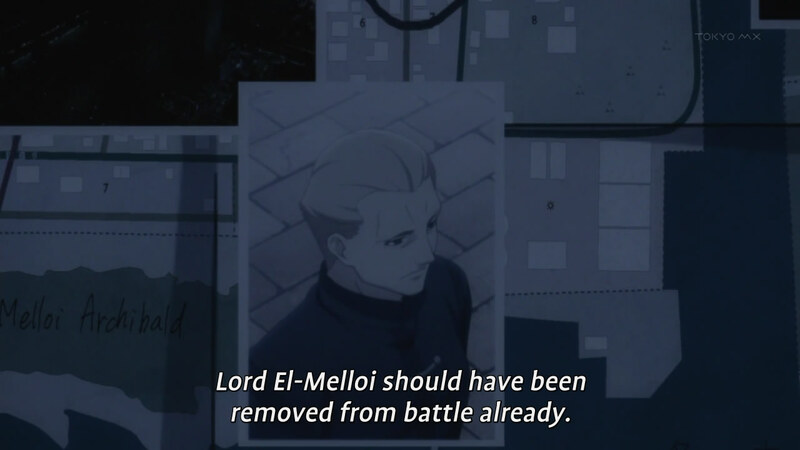 Well this scene was pretty long, we all know Gilgamesh will join Kirei, he has been hinting about defection for so long. 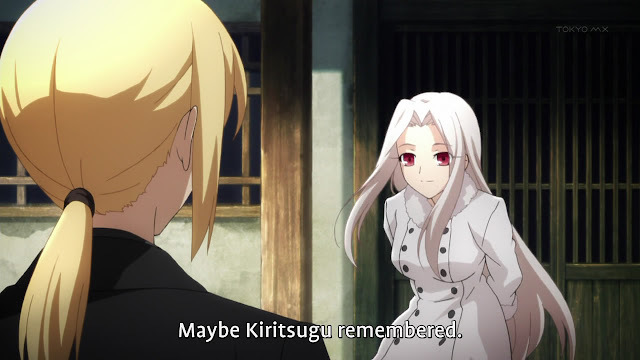 The only nice touch about this scene was seeing Kirei realize he is an idiot. A long scene for such a simple point to get across. They tried to make things so much more complicated but it just feels like they were dragging things out. Just a long boring episode with nothing happening, drawing things out for the finale. 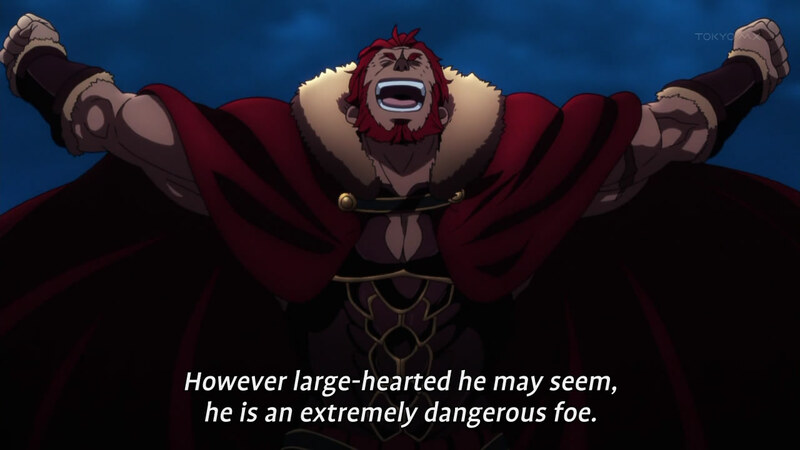 It is clear Caster is probably going to die next episode and maybe Lancer. After those two, Rider is probably next. 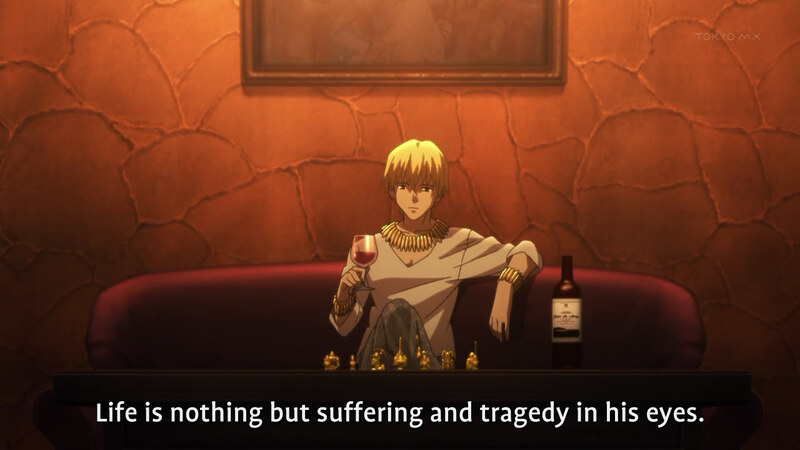 Gilgamesh and Saber are too important and Beserker is clearly linked too heavily with both of them to be taken out this early. I hope each servant gets a more epic death then assassin, it was pretty one sided to be a battle. They gotta pretend like the servants are a bit balanced.